pocket rocks – Stones, and Tokens, and Hearts, Oh My! Made in the USA ceramic stones are so, so sweet. 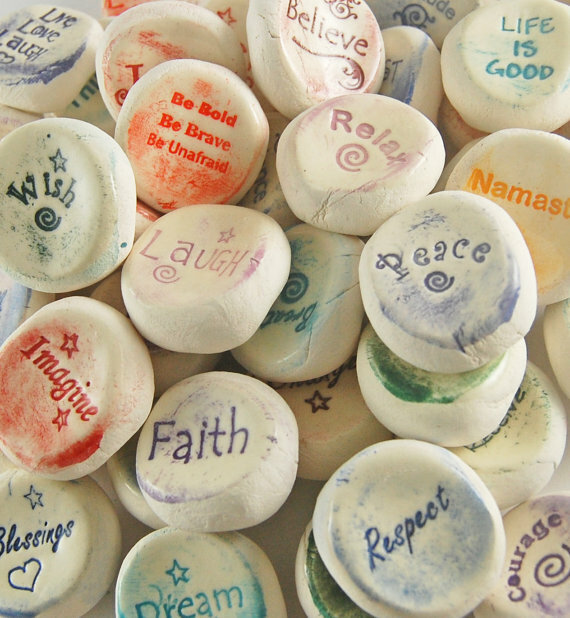 With a thumb indentation perfect for ‘worrying’, these stones make great gifts, party favors, and giveaways.